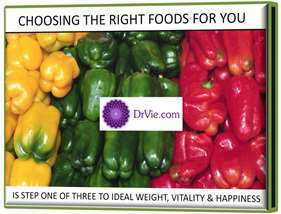 Choosing the right foods for you is step one of three steps to ideal weight, health, vitality & well Being. Here is a transcript of frequent questions asked of me and that I ask of people who want to be well. Improper use of food has resulted in epidemic rises in cancer, diabetes, obesity, heart disease and mental health problems. Where In The World Are These Issues A Big Problem? Especially in developed countries that lead the world in technology, economy and power. Why Has This Become Such A Massive Problem in Developed Nations? Because priority is placed on jobs, money, economy and sensual comforts in favour of personal health & well being. Today people’s jobs are that of creating unhealthy foods, unhealthy lifestyles, unhealthy cities, unhealthy products, unhealthy thinking and ultimately our unhealthy Planet. Humans are the cause of their own problems and much more. Are You Dedicating Your Work To Health Or Are You Contributing To Illness? When your job is that of contributing to illness then you have to look at the very root of the problem. If we as humans do not value our own life any more then money, wealth, power and sensuality are the new Gods. What Are The Indicators and Signs of A Well Being? A “well –BEING” is one who is fully aware and conscious and therefore can engage in thoughts, words and acts of compassion for humans, other beings and all of nature. This state of Being is in fact what we are capable of. What are the biggest health problems of people in developed nations? What Can Immediately Boost The Well Being Of People In Developed Nations? Many things, but as food is something that everyone yearns for each day, we need to address the proper use of nourishment, in particular the proper use of foods and drinks. Why Do Most Diets Not Work? Diets are focused on the business model of a product that increases shareholder profits and decreases cost of goods sold while dependent on the buy in from the masses. In other words “brain washing” the consumers through advertisements, marketing and fancy packaging. The ‘well being’ of humans is not central to the mission of diets that are based on the business driven models. Just as pharmaceutical drug businesses are successful business models only so long as you continue to be sick. Why Do food supplements not work? Food supplement businesses are mostly driven by the business model. Moreover, how natural can a supplement be? Anything unnatural is unnatural to the natural organs and systems of the human body and create more harm than needed. What needs to be done ASAP to restore well being to humans? Self-education and self-development are the keys. People must be motivated to empower themselves with information and right knowledge. You have to relearn what is right for your own human body, mind and emotions. You have to then start with choosing the right foods for you as a unique human. You have to learn how to prepare the foods correctly for you. You have to learn how to eat the foods properly. Finally you must learn how to continue to adjust each of these four steps as you live through life. Why Is The Back To Nature Method Crucial To All Humans? The rise in un-well humans around the globe is affecting not only humans but all life on Planet Earth. We made terrible mistakes at the start of civilization. Since then our life has been one of a fight against the natural course of life, our natural environment and the natural evolution of humanity. We have developed artificial surroundings while destroying our true nature. So today we reap the atrocities that we have sown thousands of years ago. There is a rise in violent living, hateful thoughts, corrupt actions and over stimulation sensuality and of the senses from earlier and earlier ages. We have seen a rise in inhumanity since civilization and have accepted it as the norm especially over the last century. But, when we witness not only adults but children engaging in inhumane thoughts, words and actions, then we know for sure, without any doubt, that the natural well being of the human has been totally compromised. Those who begin to see the reality, also begin to see the damage we have done to the plants, minerals, rocks, water, air, and other animal life, our very home. We clearly see how inhumane we have become. It is because we have to reap what we sow…today did not just happen…it has been happening since mistakes made over many years, and over many thousands of years. What type of humans have we made ourselves into? Is There Hope To Renew Health? What is the ultimate goal for humans? Humans today have all that it takes to be the best human possible. No matter what the situation, you can better yourself, you can better your life, and you can better the world. The way to do it is to become aware, become more conscious of reality, the real human that you are, the human potential within you and learn how to access it. Practice what you learn and replace poor bad habits with the newly learned ones. You can reverse poor health, bad eating habits, negative emotions, harmful thoughts and be the amazing super conscious human that you really are. For this reason the program I created is called Super Conscious Humanity because this is the goal…for us to return ourselves and the entire humanity to Being super conscious. How did you develop the Super Conscious Humanity program? I was raised in the throes of apartheid as a “non-white” Indian citizen in South Africa. In my first semester of pre-medical studies at the university, at age 16 a close shave with death at the hands of a soldier served me a revelation that lasted a few seconds but seemed like a lifetime. I became more consciously aware of my humanity since that moment on. I was fortunate to receive a scholarship to work and study in the USA. So I left everything and everyone I knew, behind to explore the world as a youth, a young woman. Finally obtaining a post-doctorate specializing in medical implants and ultimately working in Europe as a scientist. Though personal family tragedy in South Africa (lost my Father to diabetes & stroke) and supported the recovery of my Mother from breast cancer, I expanded my career from medical device scientist based in Switzerland to natural living scientist as I found myself returning to my Yogic roots in India. I had been meditating since I was a child. My work and experience living as a single woman, solo in 6 countries 20 cities, interacting with a variety of people from a variety of cultures, religions, educations, financial statuses and health issues, has afforded me immense insight into where our world is heading. By pioneering Dr. Vie SuperFoods® in 2004 in North Americas I began to lead the way in low-allergenic, hand made, fresh natural foods packaged into sustainable bio degradable paper bags (which to date a decade later most of health food stores and companies do not ascribe to). During +72 live events with hundreds of thousands of people of all ages, along the way my nutritional workshops and inspirational talks have gained momentum in a grass roots way – since I do not market my self. Yes I live a simple life, having experienced the depths of poverty, with no family nor friends and no place of warmth to sleep in! Yet I rose above it for years with a few cents in my hand. I know what it feels like to go to sleep so hungry that it rips your insides out yet so full of energy. My personally funded SuperKids program (2004) has evolved into Super Conscious Humanity Youth Program, with live stream PEACE shows each month. 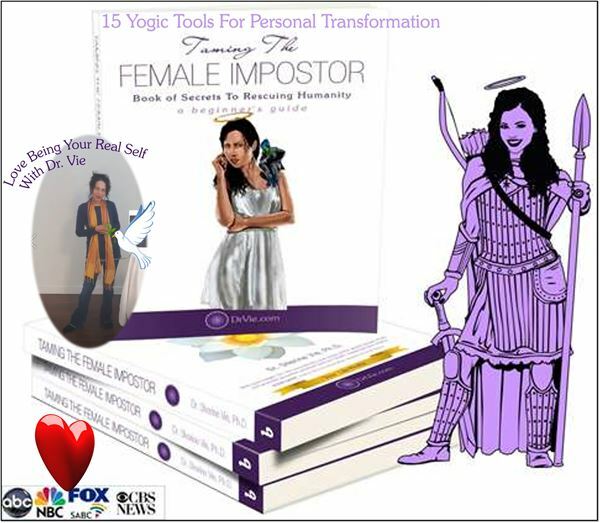 I’ve poured out some of my Himalayan revelations in my book Taming The Female Impostor® Book of Secrets to Rescuing Humanity what every human must know. For easier access to all that I share, I began the online Dr. Vie Academy program in 2010. Today it has evolved into Super Conscious Humanity Membership with a section for youth and one for adults. Today more than ever adults need to take charge of their lives and realize that they are role models for our youth.